Career is the major concern in one’s life. I remember a poem “Vocation” by Rabindranath Tagore where it is beautifully described about the mind of the child, about his thoughts for opting a profession when he grows up. Good guidelines regarding career proves to be a great blessing when one is going to chose an educational stream and equally when one is going to opt for professional stream. Where you can do the best and use your potential maximum. After entering into a career then many ups and downs are also felt and many times a total change in career direction is also observed due to any failure or great loss. If one is already prepared for all this then it become well convenient to handle the unknown. If you already know which stream your planets may yield much better then it is better to opt for training in that stream only so that you will be well equipped in your career stream. Astrology is found to be the best tool to guide you at the moment when you are in a fix. Career is judged primarily by the tenth house of the birth chart. The tenth house is a very important house of the birth chart. Since it gives identity and importance to a person in the society. Uttara Kalamrita narrates some more significations of the tenth house ; Commerce, honour from the ruler, wrestling, work, service, agriculture, fame, hidden treasure, sacrifices, mantras and yantras, extensive religious merits, prosperity, right path, good living, authority, influence and a mind that gives orders to be obeyed. The significations of the tenth house are Sun, Mercury, Jupiter and Saturn. It is not only the tenth house by which a career is judged because it is a collective effort of every area of our life which leads to opting for a career like education. Good academic ability leads to a smooth career. Education is seen through the fourth house. It shows education gained in school. The fifth house shows knowledge gained after completion of education of school; whether it is in any institution or in an office or in any workplace. If the first, fourth, fifth houses are in good condition then it uplifts the tenth house. Good results are expected in their dashas. Third house shows the mental inclination of a person. It also shows courage, profits and great undertakings. It shows enthusiasm in a person. Nothing is expected of a person with a weak third house. This means that the person lacks strength and enthusiasm in his life. If the third house is vacant then its sign is interpreted for ability of a person. Ninth house is luck or fortune of a person. It also shows the employer of; a person. Relations between ninth and tenth houses show good fortune in career. Sixth house is ninth from the tenth house hence it is the luck of career. Seventh house shows business partnerships and foreign travels whereas eleventh house denotes gains. The twelfth house shows relation with foreign countries, hospitals or jails. So it is seen that career of a person is not only judged through tenth house only; the chart is considered for it. It is the total observation of the chart which lead to interpretation of career. Each sign, planet and Nakshatra; has its own significance in shaping up the career. Career cannot be judged only by one planet only. It is blend of more than one planet — the planet placed in the tenth house and the lord of the sign of the tenth house. The planet related to Sun ascendant and Moon ascendant should also be judged as well. Technical planets are those which make one inclined towards a technical stream. It is governed by Malefic planets Sun, Mars, Saturn, Rahu and Ketu come under technical category. Non-technical planets are those which make a person work in the field other than mechanics or machines. All benefic planets refers to non-technical category. Moon, Mercury, Jupiter, and Venus come under this category. Some career streams are a mixture of both technical and non-technical. In that case a good blend of both type of planets are seen. So, again it is emphasized here that never jump to conclusion based on one planet only. Some simple steps for quick note are given here to understand it better. Specific combinations are given for common career streams. Architect: Ascendant favorable for architects are Leo, Scorpio, Cancer, Virgo and Libra. Planets indicating this career are Saturn, Mars and Mercury. Athletes: Virgo and Sagittarius signs are favorable for athletes. Mars, Jupiter and Mercury signify this career. First, third and fifth houses are supporting for this combination. Arms and ammunition: Aries and Mars are seen prominent in the birth charts. Aviation: All airy signs, Gemini, Libra and Aquarius, are favorable. Mercury, Sun and Jupiter are significant. Venus is also favorable. Communication Department: This includes post and telegraph, courier services, wireless, radio, cellular phones, telephone operators, telephone booths etc. Gemini and Sagittarius both are favorable for this occupation. Mercury and Jupiter are significant and the relation of third house with the tenth is mostly observed. Doctors: Jupiter and Mars are seen prominent. Moon is mostly affected in surgeons. Sixth house and twelfth house are seen active. Medical Practitioner may have second lord in the seventh house. Dentists: have Jupiter, Mercury, Saturn and Mars prominent in their charts. Photographers: Sun and Jupiter are seen to be prominent in photographers. Property Dealer: Mars, Venus and the fourth house are seen to be prominent. Policemen: Saturn, Mars and twelfth house is seen to be active. Politicians: Sun, Mercury and Jupiter are strong in politicians. Tenth house is strong. Teacher: Gemini Horoscope, Virgo or Sagittarius signs are active. Sun, Moon and Jupiter are favorable. Ninth house and fifth house are seen active. 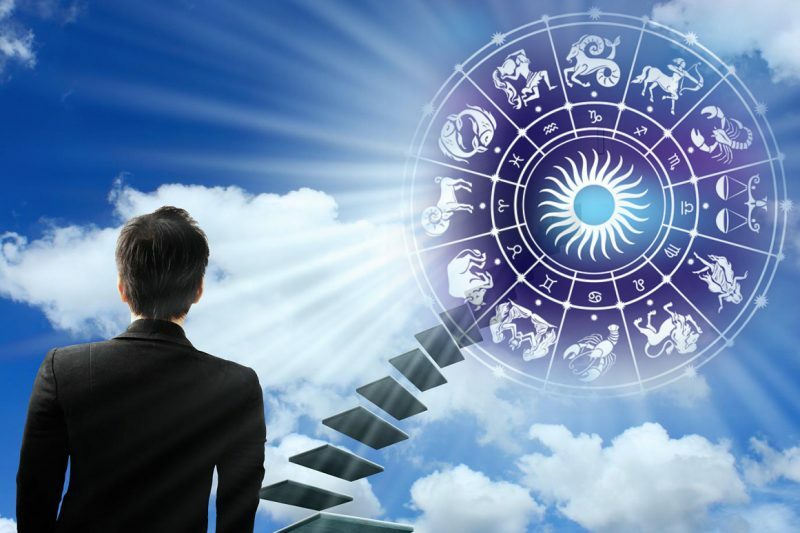 Further, astrology is also able to guide whether one is able to shine in job or business. Sometimes is observed that after gaining a good experience in job one does well in his own work. And sometimes a person is not fit for job but do excellent in business. Saturn governs work- afflicted or weak Saturn makes you work under someone whereas strong Saturn gives you to rule over someone. Jupiter provides business ability. The role of Nakshatras in which planets are present are also very important to judge. Nakshatras of authoritative planets makes you good at business and gives you ability to hold the practicality of business. Only business sense is not enough – one should be competent to hold the inside and outside management both. Similarly, at job, if the planets are in non authoritative nakshatra are more- they will help to do the job easily- going on the rules set by your employer and find it easier to do. Other than that astrology also guide that which place is suitable for you for career purpose. Whatever the combinations hold in the chart for smooth sailing, your good luck should be strong. But your karma – what you are doing right now is very much important. It is well known that the twelfth house of any house in the chart shows its loss. The house of destiny falls in the twelfth from the house of Karma- thus if your karmas are good and in the right direction – you will meet success. Just to know which direction and which type of karma – get help of astrological guidance and meet success. Industry provide true and accurate Cancer Horoscope and Aries Horoscope report interpretation of birth chart and individual interpretation all planets with gemstone.